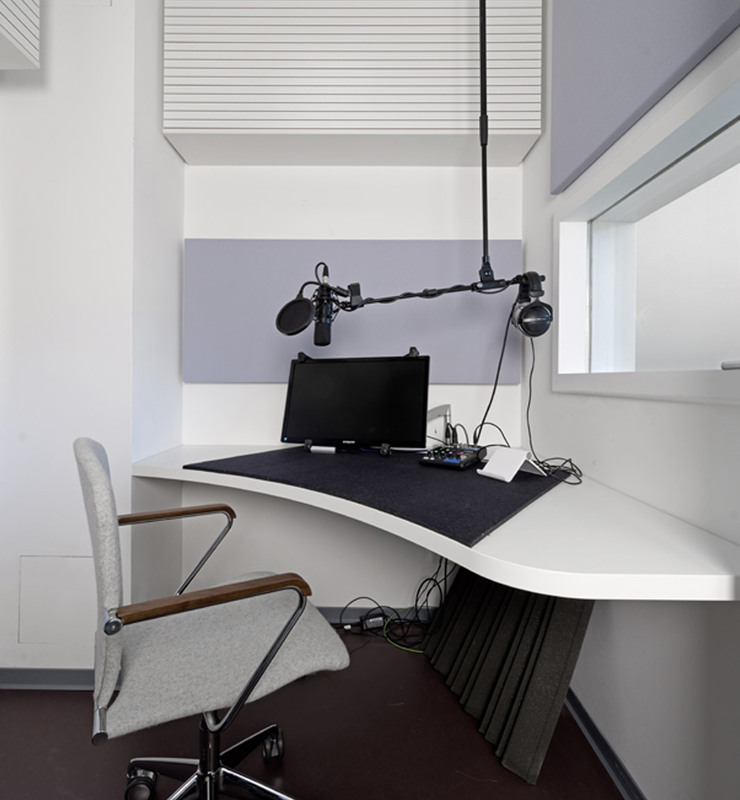 Our air-conditioned studio (70 square meters) has a 35 square meter recording room with fully adjustable lighting, which is suitable for the dubbing of feature and documentary film formats, as well as ensemble recordings for radio plays. In addition to the big studio, we offer a small but capable recording studio, ideal for voice-over recordings for documentary films and audio descriptions. Both rooms comply with the current technical and acoustic standards. 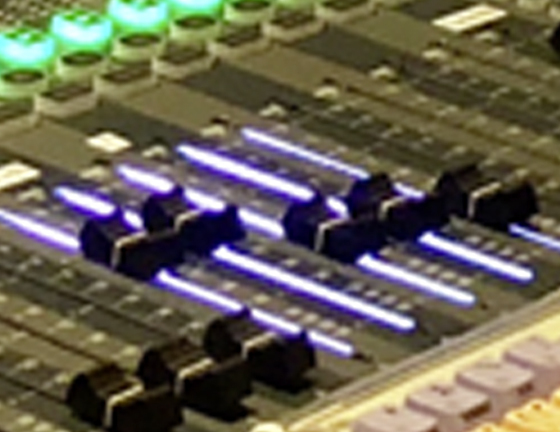 We work with Pro Tools and Nuendo, in sync with the Eurotaker and the Nuendo Taker. In the big studio, we have installed a movie screen to allow our actors the greatest possible freedom in their performance, enable the interaction of several actors, and also to provide the opportunity to view films in appropriate quality. The room is technically designed so that mixes (5.1 and 2.0) can be carried out. In addition, we have a editing room with Avid editing system. Our studios and editing room can be rented depending on availability.